Restaurant is fabulous food and fantastic staff especially Jade!!! Nice hotel. Central to everything Nice hotel, central to everything. Beautiful views if you get a room with harbour views. Friendly and helpful staff! 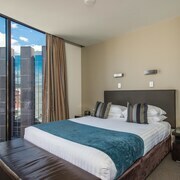 We would recommend this hotel to anyone wanting to visit Hobart. Large room with separate lounge room was very comfortable and handy for a small family of 3. Great location, friendly staff and rooms are lovely and clean. If you're on the lookout for a cool place to hang out in Hobart, lastminute.co.nz has you covered. 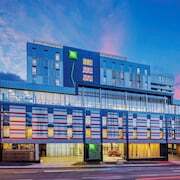 We feature 103 places to stay within a 10-kilometre radius of Hobart's centre. Looking to find a place close to Hobart's heart? The The Henry Jones Art Hotel and Corinda's Cottages, are conveniently located a short distance from the city centre. 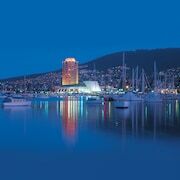 Sandy Bay, a popular Hobart accommodation neighbourhood with 17 places to stay, is just 3 kilometres from downtown. 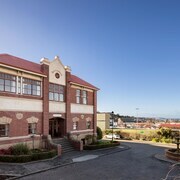 Some of the accommodations in Sandy Bay include the Wrest Point and Amberley House. The Mona Pavilions can be found 10 kilometres from the middle of Hobart. Or, alternatively, the Islington Hotel is 2 kilometres away. 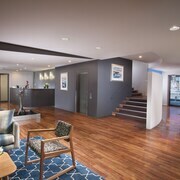 Alternative places to stay are the Villa Howden and the Somerset on the Pier Hobart. 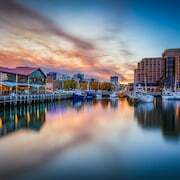 Don't be a flamin' galah and farewell Hobart without checking out the other good things to do and see in Southeast Tasmania. 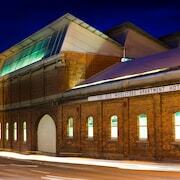 Spend time at the history museums and art galleries in Southeast Tasmania. Visitors can also make the time to check out the region's forests. Visitors and locals alike in this section of Australia enjoy hiking and caving. It's well known that we Aussies just love to relax, so consider extending your stay and check out the Port Esperance and Kents Beach, which you'll find in Dover, 55 kilometres to the southwest of Hobart. Dover hotels are the Driftwood Cottages and Smugglers Rest. Or, you could consider staying in Port Arthur, 50 kilometres to the southeast of Hobart, where you'll find the Port Arthur Villas and Sea Change Safety Cove. If you're staying in Port Arthur, be sure to check out the Port Arthur Historic Site and Remarkable Cave. Just because you're far from home, doesn't mean you can't enjoy your passion for all things sport. Kingborough Sports Centre can be found 11 kilometres to the south of Hobart. Sleep nearby to the action at the Villa Howden or the The Esplanade Kingston Beach. Visitors transiting through Hobart International Airport may plan to book accommodation at the Travelodge Hobart Airport or the ABC Hotel, which are both conveniently close.